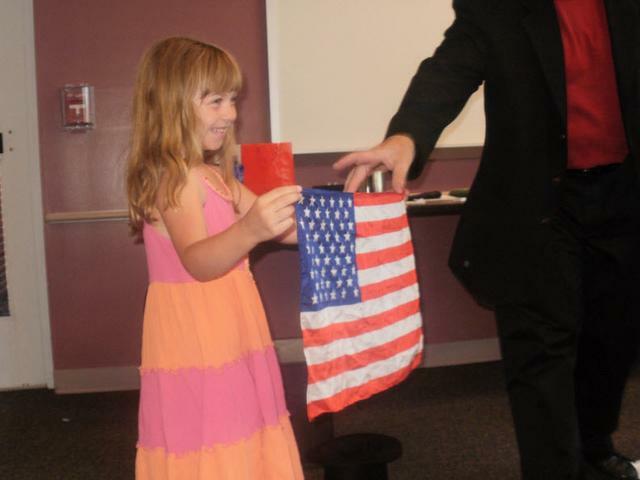 Children's Birthday Magician in Hampton Roads, Norfolk, Virginia Beach, Chesapeake, Suffolk, Hampton, Portsmouth, Newport News, Williamsburg, Richmond, Outer Banks, Eastern Shore. You don't want to hire a magician. You want to create the most amazing birthday your child has ever had. You have had to worry about the decorating, the invitations, the food, the last thing you need to worry about is the entertainment. I do all the work, you get the credit for the greatest birthday ever. My magic show has been refined over the last 30 years to ensure your guests will have an amazing time, and talk about your party for weeks. I guarantee you will hear screams of delight and laughter, if I fail to produce those results you owe me absolutely nothing. That's right, my magic show has a 100% guarantee. You can find a "cheaper magician", but will they produce the guaranteed memories you are trying to create for your child. That's why you are looking for a magician in the first place. 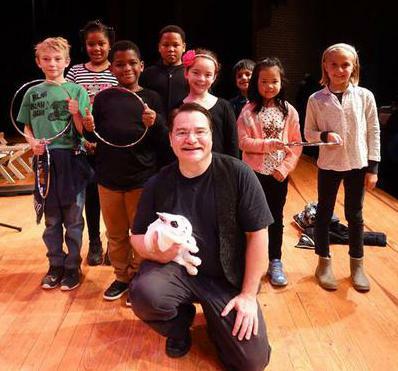 I am often told by the adults at my performances that they had as much fun as their children. Most children's magicians cannot make that claim. I am a true family performer, and will entertain the entire audience. My Deluxe magic show is the largest event that will fit in a living room. It features magic with doves, a rabbit, and large illusions. See your child float, make sure you have your camera ready. Just added a new audience member sawing to my show, ask me about it. Stage Illusion may be added if performance conditions permit. "Thanks for a great show. My son had a wonderful time"
CALL ME NOW, MY SCHEDULE FILLS QUICKLY .
" John's magic spins a spell that lasts until you see him again. His show is spectacular and we look forward to having him back next year." 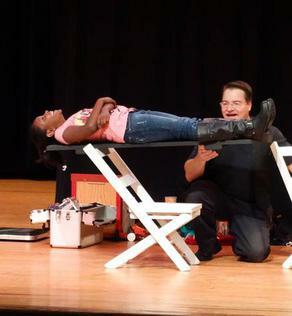 "You did a fantastic job entertaining kids and adults alike. Hope to see you again next year." "Thank you so much for making my daughter's 6th birthday so magical." My act has been featured at : Norfolk Public Library, Virginia Beach Public Library, Hampton Public Library. Norfolk Public Schools, Newport News Public Schools, Chesapeake Jubilee, Portsmouth YMCA Summer Camp, Skipwith Academy, Norfolk YMCA Summer Camp, The Goddard School, CMS Montessori, Suffolk Parks and Recreation, Beach Street, Virginia Beach Town Center, Scout Fest 100, Cub Scout Pack 364, Hurrah Players, Carrollton Public Library, Currituck Public School, Knotts Island Elementary, Hope Lutheran Church, Special Olympics, Southside Baptist Church, MARSCON, Suffolk Public Library, Cub Scout Pack 28, Chesapeake Public Library, Museum of Contemporary Art, Cub Scout Pack 31, Back Bay Christian Academy, ODU Summer Camp, Cub Pack 628, Simon Family JCC, Little Neck Swim and Racquet, Storytelling in the Park, Fairgrounds Restaurant, Greenbriar Country Club, Hampton International Children's Festival, Pungo Strawberry Festival, Portsmouth Public Schools, Newport News Public Library, Va Beach Public Schools, Chrysler Museum, Smithfield Library, Cavalier Golf & Yacht Club, Streets of Greenbrier, Portsmouth Children's Museum, Rappahannock Foundation for the Arts, JEB Little Creek Library, India Assoc of VA, Cub Pack 207, Aulander Peanut Festival, North Landing Beach Resort and hundreds of private functions. "Just wanted to thank you again for 4 great performances. Everyone loved them and we had a total of 610 people attend your programs. I will be in touch for next year." "Everyone loved your show at our cubscout banquet this year. You managed to thrill and amaze more than 70 children and their parents all at the same time. Your mixture of illusions, tricks, and humor is absolutely perfect. Thanks so much for making such a special event for our kids!" I want to take the time and Thank You again. My daughter said this was the best birthday party ever thanks to you! The kids had a blast and even the adults. I will definitely be more then happy to refer to you. I will keep you in mind on other party events. You were worth every penny! Thanks for making my daughters day! YOU ARE THE BEST! Performing in: Norfolk, Va. Beach, Portsmouth, Suffolk, Hampton, Newport News, Williamsburg, Windsor, Smithfield, Moyock, Currituck, Poquoson, Yorktown, Elizabeth City. Additional charge for performances outside these areas (Richmond, Outer Banks, Eastern Shore). "My husband and I had a carnival birthday party for my sons 10th birthday and John Kingry made it complete. He is a wonderful magician and not only entertained the children but the adults as well. I would recommend him to anyone and will use him again in the future." 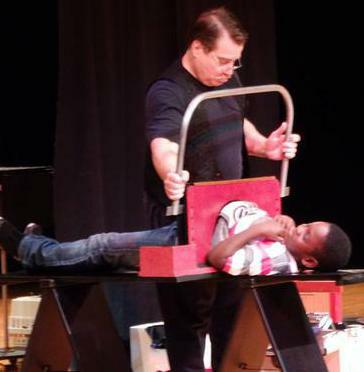 You would not hire a band that you have not heard.Why would you hire a magician you have never seen perform? Watch my videos and listen to the children laugh and react to my magic. Suitable for: Children's Parties, Birthday Parties, Family Festivals, Scout Events, Blue and Gold Banquets, Library Shows, School Shows, Day Cares, Family Reunions, Picnics, Summer Camps, Halloween Shows, and other family oriented events. "I just wanted to say thanks for the show. The famlies really enjoyed it, and it was a great way to start the school year." "Everyone really enjoyed the show John!!! Thanks so much!" "Thank you to you! 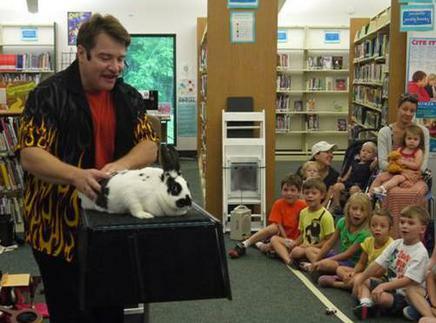 Everyone loved your magic show. We will definitely keep you in mind for next year." "Thank you for a wonderful show! Everyone loved it! Adults and children alike had so much fun! We will be sure to recommend you!"